The Loftcube is designed as a small, mobile living space that can be easily relocated on a whim. Its light-weight structure can be placed on a roof via a freight helicopter or construction crane. The Loft Cube project is based on the idea of exploiting large, flat and hitherto unused city-centre rooftops. 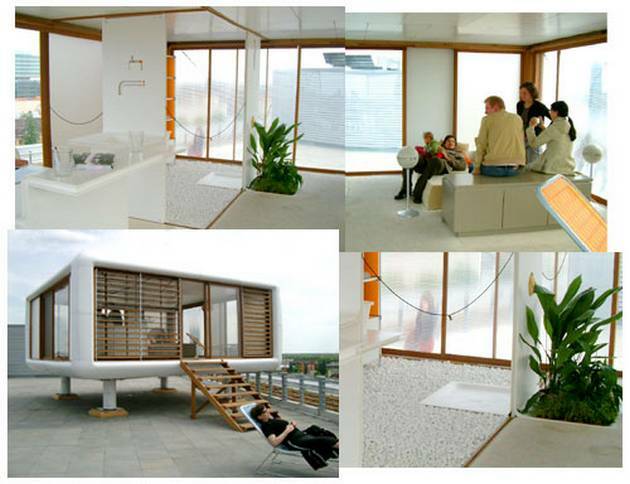 In this way, Werner Aisslinger, a designer in Berlin, is seeking to open up a new, sunny environment with lightweight, mobile housing cells. After two years of preparatory work, the planners presented a prototype of their modular dwelling unit on the roof of the Universal Music building in Berlin. At present, preparations are under way to allow the start of serial production. 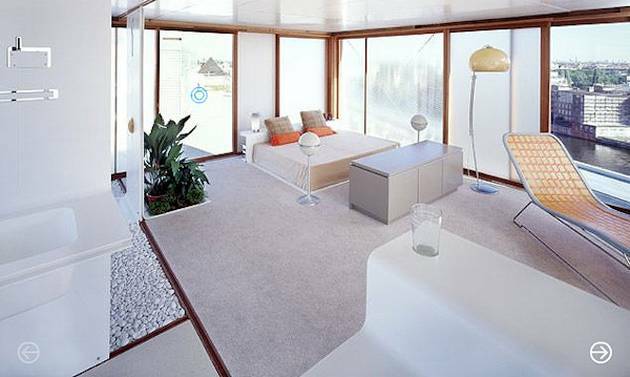 The Loftcube is an artistic living unit with sleek pod aesthetics. The window spaces come in translucent, transparent, timber louvers, or closed versions and the body can be custom built to suit your needs. Its interior consists of movable blinds, glass elements, and a skylight for optimal sunlight. For privacy, the space can be subdivided using sliding panels.